Today meet an openly trans military woman - Enjoy lunch at OutRight with Swedish Armed Forces' Alexandra Larsson. 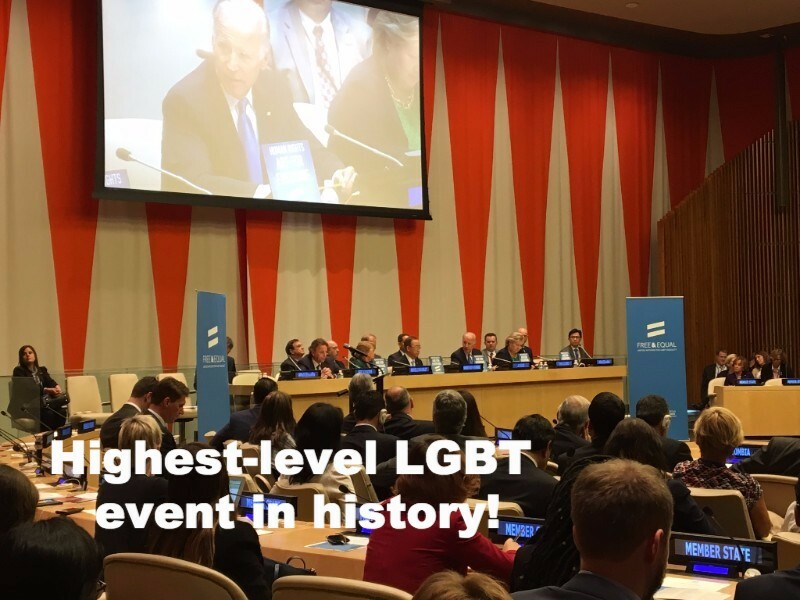 Yesterday the UN held the highest-level meeting in history in support of LGBT rights, including Vice-President Biden, Secretary-General Ban Ki-moon, Chile's President Michelle Blanchet and Norway's Prime Minister Erna Solberg. The 71st UN General Assembly saw LGBT rights elevated! 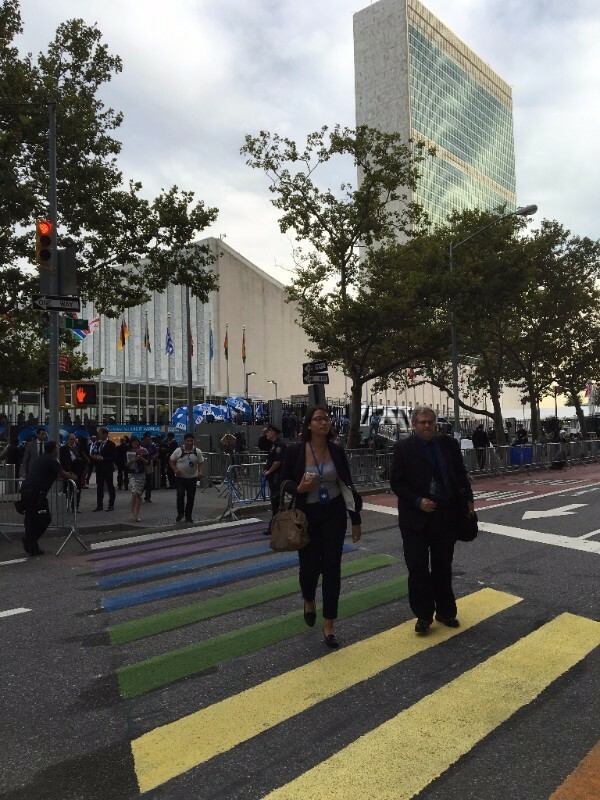 Including a Rainbow crosswalk (#Path2Equality), remarks by President Obama in his last UN speech and the high-level meeting that happened yesterday with OutRight's support. This weekend celebrate Pride in North Carolina's Research Triangle as well as in Richmond (RVA) and of course it's Folsom Street Fair in SF. Or look ahead to Black & Blue in Montreal, OutFest in Philly or Atlanta Pride all the weekend of Oct 8-9 - or even ROMBA back in Dallas? Booked that holiday travel yet? Flights to Europe and home for the holidays will only increase from here - I'm headed to Paris en route to Cyprus for this year's ILGA Europe conference. Anyone else also doing Puerto Vallarta for New Years? After South Africa banned the anti-LGBT "pastor," Botswana now has deported him after he spewed some more bigotry on the radio. Next week a Tanzania-based court will rule on whether anti-LGBT laws are acceptable in the region. DC Comics will release an anthology of 100 LGBT story-lines all to support victims of the Pulse nightclub shooting in Orlando. Major LGBT leader Kevin Jennings, Executive Director of the Arcus Foudation, was assaulted by protesters - and police refused to help him - at Pride in Serbia. A federal judge ruled Ashton Whitaker, now a senior in high school from Kenosha, Wisconsin can use the bathroom that corresponds with his identity. Take a free foodie trip to Berlin when you register and download the Bitemojo app from Travels of Adam - who doesn't want a free few days in one of the world's most incredible cities. Travel with Google - it's expanding for travelers by providing an app - Google Trips - to provide price comparisons and travel guides while aggregating your trip reservations. Want to enjoy the Northern Lights? This year might be the best time to attempt to see this incredible phenomenon due to sun cycles and the current "solar" weather. NYC. Today! Come hear trans activist Alexandra Larsson speak about her time in the Swedish Armed Forces at OutRight's offices near Wall Street. RSVP here for details. DC. Tomorrow join the Senate LGBT GLASS caucus at Bluejacket to kick off the weekend at Navy Yard. NYC. Need something new and chic for your apartment? Next Thursday, Jonathan Adler is throwing a party for OutRight - come enjoy Célange Brut Rosé and yummy Fat Witch brownies on the Upper West Side - you get 10% off plus 10% of the purchase supports OutRight Action International. Upcoming! DC. 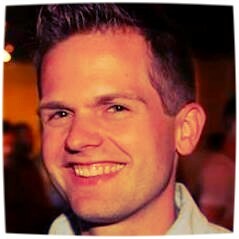 OutRight's new Engagement Committee in the District is organizing its first event at Number Nine. Enjoy 2-4-1 drinks and hear from activists, including me, Oct 11. Upcoming! Thinking about gay travel this fall? 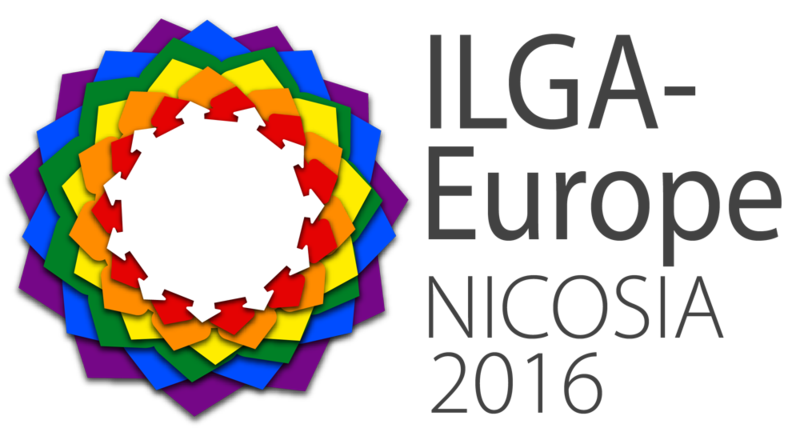 Attend the Montpellier InterPride World & European Conference October 13-16 or join me at IGLA Europe in Cyprus October 19-23.